Heading into this weekend, many box office analysts posited that The Emoji Movie would ultimately beat fellow newcomer, Focus Features' R-rated action-thriller Atomic Blonde and last weekend's winner Dunkirk. 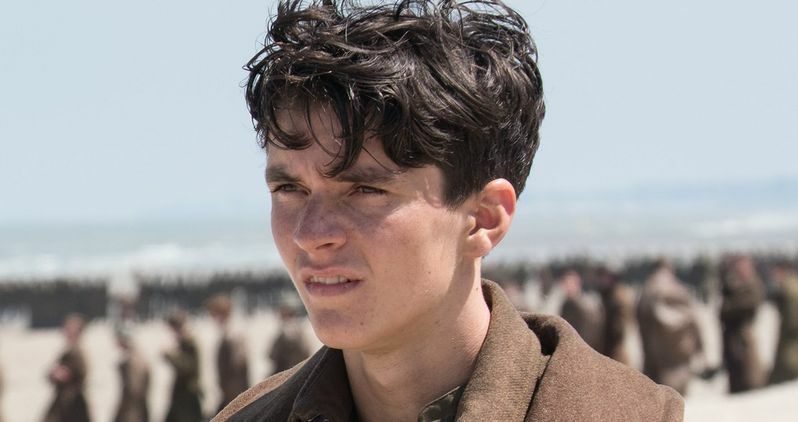 Ultimately, both of those movies underperformed, allowing Warner Bros.' WWII thriller Dunkirk to come out on top for the second weekend in a row, earning $28.1 million. The Emoji Movie debuted in second place with $25.6 million and Atomic Blonde in fourth place with $18.5 million, behind the steady Girls Trip with $20 million. Box Office Mojo reports that the WWII thriller dropped just 44.3% this weekend, bringing its domestic total to $102.8 million, from a $100 million budget. Dunkirk has also earned another $131.3 million from international territories for a worldwide total of $234.1 million. The movie's less-than-expected second weekend drop, paired with the underperforming newcomers, lead to Dunkirk repeating atop the box office. The top 5 was rounded out by Girls Trip in third place with $20 million and Spider-Man: Homecoming in fifth place, which continues to perform well in its fourth frame in theaters, earning $13.4 million, bringing its domestic total to $278.3 million. The Emoji Movie takes you inside you own smartphone, where, hidden inside, is the bustling city of Textopolis, the home to all emojis. Each emoji has only one facial expression, except for Gene (T.J. Miller), an exuberant emoji with multiple expressions. Determined to become "normal" like the other emojis, Gene enlists the help of his best friend Hi-5 (James Corden) and a notorious code breaker called Jailbreak (Anna Faris). During their travels through the other apps in The Emoji Movie, the three emojis discover a great danger that could threaten their phone's very existence. The voice cast includes Patrick Stewart as Poop, Sofia Vergara as Flamenca, Jennifer Coolidge as Mary Meh, Maya Rudolph as Smiler, Christina Aguilera as Akiko Glitter, Steven Wright as Mel Meh, Thom Bishops as Fist Bump and Jake T. Austin as the teenager Alex, who owns the phone these emojis all live inside. Oscar winner Charlize Theron explodes into summer in Atomic Blonde, a breakneck action-thriller that follows MI6's most lethal assassin through a ticking time bomb of a city simmering with revolution and double-crossing hives of traitors. The crown jewel of Her Majesty's Secret Intelligence Service, Agent Lorraine Broughton (Theron) is equal parts spycraft, sensuality and savagery, willing to deploy any of her skills to stay alive on her impossible mission. Sent alone into Berlin to deliver a priceless dossier out of the destabilized city, she partners with embedded station chief David Percival (James McAvoy) to navigate her way through the deadliest game of spies. The top 10 is rounded out by War for the Planet of the Apes ($10.3 million), Valerian and the City of a Thousand Planets ($6.8 million), Despicable Me 3 ($6.2 million), Baby Driver ($4 million) and Wonder Woman ($3.5 million). Also debuting in limited release is Annapurna Pictures' Detroit, which earned an impressive $365,455 from 20 theaters for a $18,273 per-screen average. The movie will also open in limited release this weekend, before expanding nationwide on August 4. Sony Pictures Classics' Brigsby Bear took in $45,060 from three theaters for a $15,020 per-screen average, while Paramount Vantage's documentary An Inconvenient Sequel: Truth to Power earned $130,000 from four theaters for a $32,500 per-screen average, Sony's comedy Mubarakan earned $300,000 from 128 theaters for a $2,344 per-screen average, Well Go USA's foreign film Wolf Warrior 2 earned $190,000 from 53 theaters for a $3,585 per-screen average and A24's drama Menashe earned $61,409 from three theaters for a $20,470 per-screen average. No box office data was released for Indican's documentary 30 Years of Garbage: The Garbage Pail Kids Story, Vertical Entertainment's drama A Family Man, IFC's drama From the Land of the Moon, , Magnolia's comedy Person To Person, Brainstorm Media's drama Strange Weather . Looking ahead to next weekend, Sony Pictures debuts its long-awaited Stephen King adaptation The Dark Tower, starring Idris Elba and Matthew McConaughey, which goes up against Aviron's Kidnap, starring Halle Berry, along with the expanding Detroit, which stars John Boyega. Also opening in limited release is the independent drama Columbus, Arrow Films' thriller The Ghoul, Yash Raj's romantic comedy Jab Harry Met Sejal, Parade Deck Films' sci-fi horror film Lycan, Good Deed's comedy Some Freaks, Fox Searchlight's documentary Step and The Weinstein Company's drama Wind River. Take a look at our box office projections for the weekend of July 28 and check back on Sunday for the box office estimates, and again a week from today for next week's predictions.